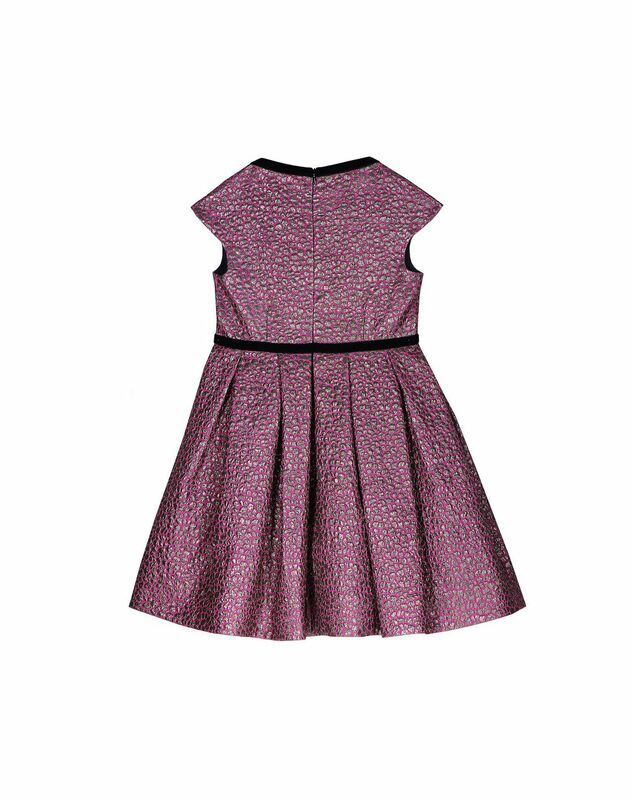 Short-sleeved pleated fuchsia dress with a golden motif, cinched waist with a black grosgrain ribbon, Lanvin-engraved medal, black crew neck with a bow and hidden zippered closure on the back. 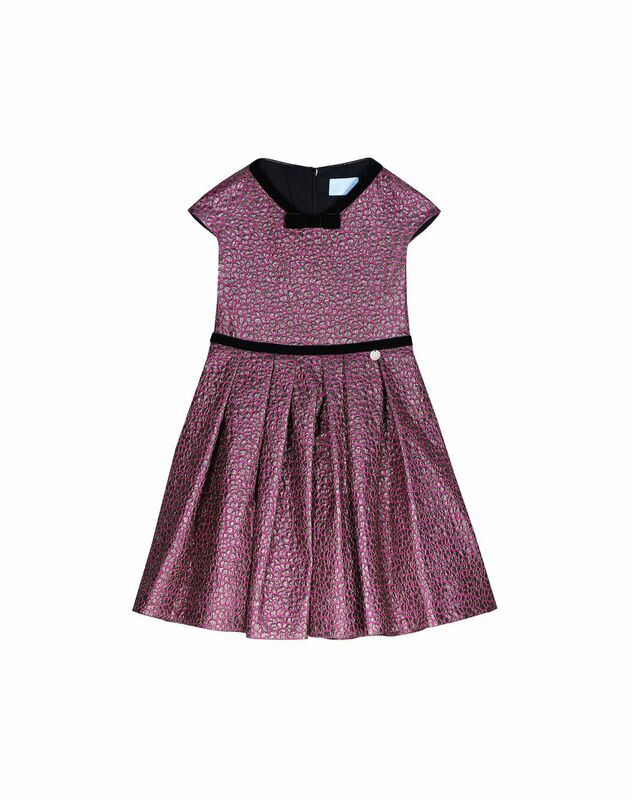 Enhanced with a delicate golden print, this little dress stands out for its vivid color and feminine cut. 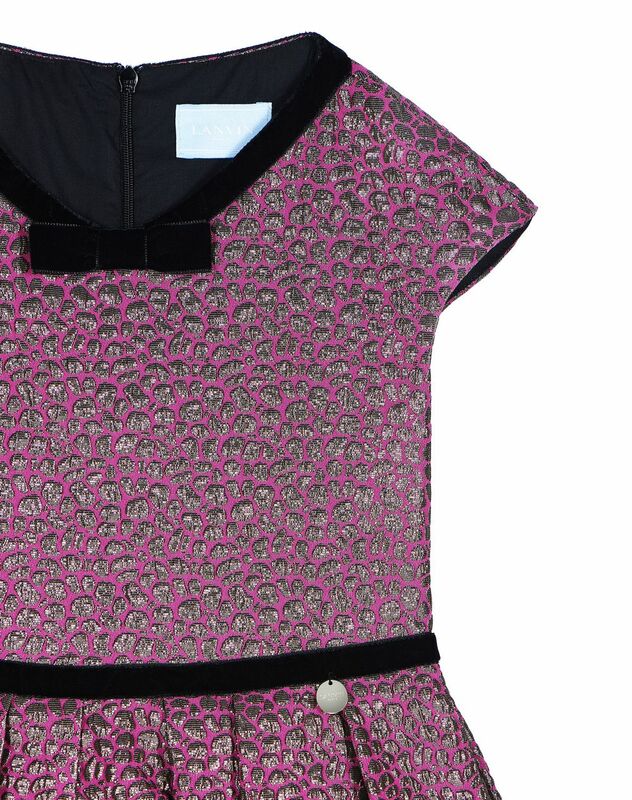 The subtle Lanvin-engraved medal detail leaves the brand’s mark on this cute jersey dress. This stylish and comfortable piece is perfect for winter. Main materials: 53% polyester, 27% polyamide, 14% cellulose acetate, 6% other woven fibers. Made in Italy. Care conditions: Gentle machine wash at 30°C Do not use bleach. Do not tumble dry. Iron at low temperature. Dry cleaning.